The New Testament is crucial to Christianity. It provides the basis of knowledge not simply for Jesus's life and ministry, but also for how we are to relate to God and order our lives. Of course, one of the primary drivers of the Protestant Reformation was sola scriptura or the authority of scripture alone. However, all Christian traditions look to scripture as authoritative in matters of faith and practice. All of Christendom shares this idea; it is only on the question of whether additional centers of authority exist where we differ. Another point of agreement within Christianity is the make-up of the scriptures that form the New Testament canon. Those twenty seven books are also universally recognized as scripture. They were shared between churches to be rad to the congregations as instructive from the earliest days of the Christian faith. Even if a letter was addressed to a specific congregation and written to answer specific questions, such as 1 Corinthians, or specific problems like Galatians, all the churches would look to these writings as scriptural. That brings up a question, though. Did the writes of these texts realize the would be used in such a broad way? Would Paul be horrified that a specific letter he sent to a specific group in Asia would also be applied by those in Rome? What about the 21st century church in America leveraging a text written for a first century middle-eastern culture? Just how aware were the writers of the New Testament that the letters and history they were composing would be looked to with the same authority as the Old Testament? 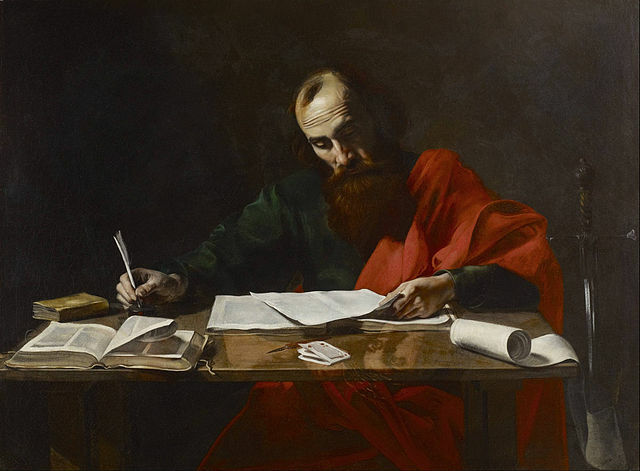 At some time in the first century Paul's letters were collected. We do not know when and who collected them first, but it is possible that at least some of them were collected and edited for publication by Paul himself. Perhaps the collecting occurred decades later, we do not know. It is known, however, that either in the first century, or in the second (when many scholars argue 2 Peter was written), the collection was held to be authoritative as it was put alongside other "scriptures," i.e., sacred writings of the Old Testament. In 2 Pet 3: 15– 16 we read: "So also our beloved brother Paul wrote to you according to the wisdom given him, speaking of this as he does in all his letters. There are some things in them hard to understand, which the ignorant and unstable twist to their own destruction, as they do the other scriptures." Paul clearly distinguishes between Jesus' authority and his own. However, through that very distinction we can see not only that he regarded Jesus' message as authoritative, but that he claimed authority for himself as well. In 1 Cor 7, this distinction appears repeatedly. In 1 Cor 7: 12 we read: "To the rest I say, not the Lord, . . ." but in verse 17 we learn that Paul himself had the authority to give instructions for the congregations: "This is my rule in all the churches." Even when Paul does not give rulings, just advice, he expects that because of God's grace and Spirit given to him the congregation will obey him. Verses 25 and 40 can be cited as examples: "Now concerning the unmarried, I have no command of the Lord, but I give my opinion as one who by the Lord's mercy is trustworthy . . . and I think that I have the Spirit of God." 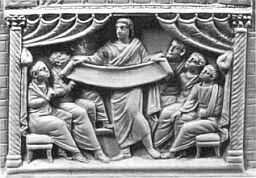 Balla explains that given the internal evidence and the way the texts were so quickly distributed among the early churches, the apostles absolutely knew they were writing scripture. I think that knowledge actually lends credibility to their use. The Jewish background of the apostles means they held the Old Testament in very high regard. If their writings were being misappropriated as scripture while they were still alive, it seems implausible that they wouldn't take steps to stop the abuse, much in the way Paul sought to stop the Jewish rituals that the Galatian church sought to require. 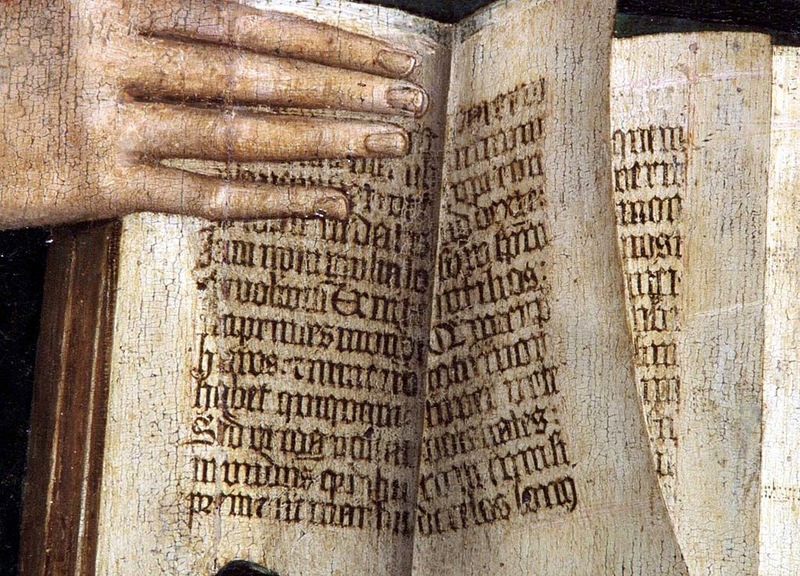 Instead, the apostles placed their writings on par with the Old Testament. This means they may have been trying to intentionally deceive the church, they may have been earnestly wring that they were wring scripture, or they were truly inspired by the Holy Spirit to produce scripture. But the claim that the churches took as authoritative what was only meant as a local interaction is not open to us. Yesterday, I began to discuss the so-called Lost Gospels, those second and third century writings claiming to be Gospel accounts by Apostles like Peter, Thomas, and Judas. As I noted, the Apostles names applied to these writing are clearly forged. The writings themselves are too late to come from those living at the same time Jesus ministered, unlike the four recognized Gospels of the New Testament. However, that doesn't stop some skeptics from trying to promote the idea that these documents are somehow on par with the canonical Gospels. As a New Testament scholar, Ehrman is being extremely disingenuous here. First, notice the phrasing of the sentence "about the time these names were being associated with the Gospels, other Gospel books were becoming available." It is written tom mislead readers that the Gnostic accounts are nearly contemporaneous with the Gospels. That isn't true. The Gospels were well known and circulated from the first century onward. As I've shown here and here, early church fathers named the authors of all four of the Gospels by 100 AD and no other candidates were ever seriously advanced. The Gnostic texts weren't even written until the second and third centuries, and that's when the church began making lists of what counts as Scripture and what doesn't. Thus, when Ehrman claims that "other Gospel books were becoming available," he means other Gospel books were being written. And when he claims this happened "about the same time these names were being associated with the Gospels" he means the Church put down on paper a list of Gospels bearing the names Matthew. Mark, Luke, and John. But what of Ehrman's other claim that these texts were considered sacred, revered and worthy to be considered as part of the Christian Scripture? Internet skeptics make similar assertions all the time. However, these Gnostic texts, although labeled by their forgers as "Gospels" don't hold a candle to the real Gospels. In fact, all it takes is a quick read of them to show they are about as similar to the Gospels as a pulp science fiction novel is to one of Shakespeare's plays. Let's take a look at a few snippets to get a flavor. Certainly, the Gospel of Peter does not hold the same historical weight as the Gospel accounts. The Gospel of Thomas was another account that Ehrman mentions. This text is interesting because it is probably the earliest of the Gnostic texts written sometime in the early or middle second century. But to call it a Gospel is to malign the term. First of all, it isn't a narrative of Jesus' ministry. It is only 114 verses long and is a collection of supposed sayings or teachings of Jesus. About a third of these are copied from the existing Gospel accounts. About a third are teachings not necessarily incompatible with Christian doctrine, but we don't know if Jesus said them. The last third, though, are completely Gnostic. I could go on, but I think my point is made. The so-called Lost Gospels are nothing of the kind. They weren't lost, they were rejected. And they weren't Gospels, because they are devoid of the Good News of salvation. Of course, people can spiritualize anything; that's why a significant number of people in England and Wales identified themselves as holding to the Jedi faith.8 Holding that the Gnostic texts were serious candidates as Gospels falls into the same category as believing Obi-Wan Kenobi is a religious scholar. It makes me wonder in what way Dr. Ehrman watches Star Wars. 1. Ehrman, Bart D. Lost Christianities: The Battle for Scripture and the Faiths We Never Knew. New York: Oxford UP, 2003. Print. 4. 3. Gospel of Peter, I.1-2. Translated by M. R. James. 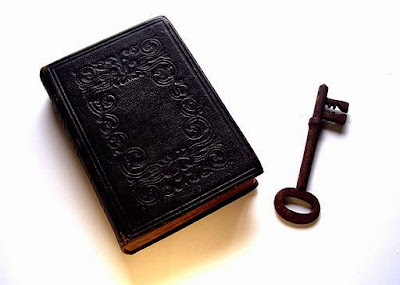 The Gnostic Society Library. The Gnostic Society Library, 1995. Web. 28 May 2015. http://www.gnosis.org/library/gospete.htm. 6. Gospel of Thomas, 30. 7. Gospel of Thomas, 114. 8. 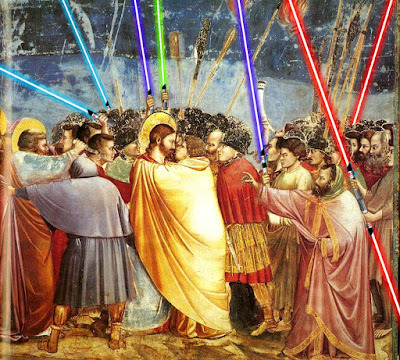 "'Jedi' Religion Most Popular Alternative Faith." The Telegraph. Telegraph Media Group, 11 Dec. 2012. Web. 28 May 2015. http://www.telegraph.co.uk/news/religion/9737886/Jedi-religion-most-popular-alternative-faith.html. Are there really "lost" Gospel texts that were eliminated from the Bible? The claim has been circulating for many decades now, with specials on television that highlight the Gospel of Judas or books such as Dan Brown's The Da Vinci Code. Yet, simply because someone calls a writing "Gospel" does that mean it should be considered as a candidate for Scripture alongside Matthew, Mark, Luke, and John? I don't think so. There are a number of reasons why the texts that are collectively known as the "lost" Gospels are nothing of the kind. First of all, they were written much later than the canonical Gospels. Matthew, Mark, Luke, and John were all penned in the first century, within 30 to 60 of Jesus's ministry. However, scholars have dated the vast majority of the Gnostic Gospels to originate in the second or third centuries. Scholars who are both liberal and conservative agree that the Gnostic accounts were created after the apostolic age.1 That means Gnostic works bearing the name of Thomas or James or Peter or Judas are definite forgeries. Although the Gnostic Gospels are forgeries, the reason why they use the names of well-known apostles is interesting. The writers knew that for their writings to have any credence at all, they would have to bear the name of recognized figures during Jesus's ministry. 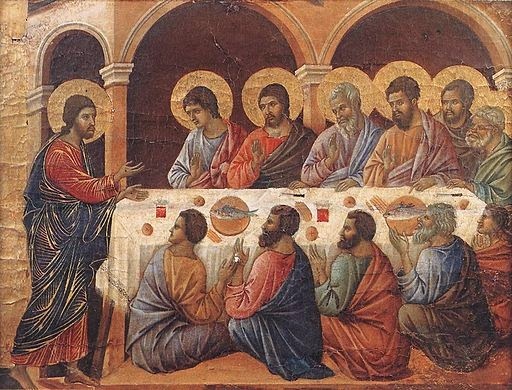 Thus, the names of Thomas, James, Peter, and Judas are used to try and give these writings an air of authority. The question one should ask next, though, is how did those reading the Gnostic texts know these names of the apostles? The answer is simply that the four canonical Gospels were not only already in existence, but accepted as authoritative. In fact, by the middle of the second century, all four of the Biblical Gospels have been quoted as authoritative by Polycarp, Ignatius, Irenaeus, and included in the Diatessaron, a book that sought to harmonize all the Gospel accounts. It is clear that the Gnostic Gospels are not on par with the canonical Gospels with regards to their sources. 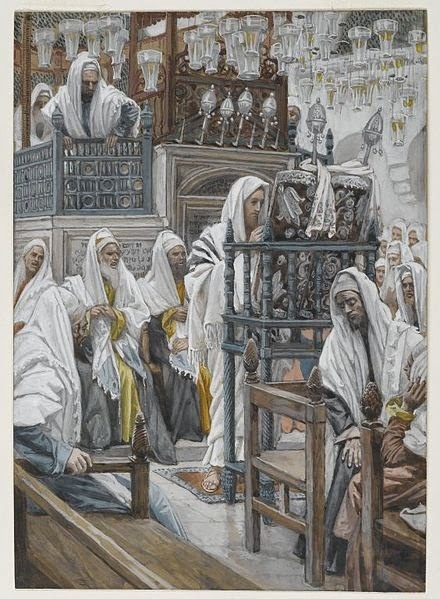 They are forgeries that were written too late, they relied on the existing four Gospels for at least some of their content 9thus tacitly endorsing Matthew, Mark, Luke, and John as properly authoritative), and they set themselves up to be competitors to the teachings of the church that were handed down from the apostles. These so-called Gospels were never lost; they were simply rejected as poor imitations of what true scripture would look like. 1 Scholar Darrell Bock in his book The Mission Gospels: Unearthing the Truth Behind Alternative Christianities (Nashville: Thomas Nelson Pub, 2006), points to the work of Rebell, Ehrman, Klauk, Lapham and White to support these dates. 2. Hengel, Martin. The Four Gospels and the One Gospel of Jesus Christ: An Investigation of the Collection and Origin of the Canonical Gospels. Harrisburg, PA: Trinity International, 2000. Print. 50. 3. One such example is Thomas 20 which reads, "The disciples said to Jesus, 'Tell us what Heaven's kingdom is like.' He said to them, "'It's like a mustard seed, the smallest of all seeds, but when it falls on prepared soil, it produces a large plant and becomes a shelter for birds of the sky.'" 4. Witherington, Ben. The Gospel Code: Novel Claims about Jesus, Mary Magdalene, and Da Vinci. Downers Grove, IL: InterVarsity, 2004. Print. 22. How do we understand which books to fall into the frame of Scripture? Craig Blomberg, in his book Can We Trust the Bible? offers three broad attributes separating books of Scripture from other inspirational writings. Basically, these are the books of the Bible all claimed an authoritative position over the faithful adherents, they were recognized throughout the church as properly authoritative, and they were consistent in their views on the nature of God, the nature of man, and of theological concepts such as sin, salvation, and sanctification. I'd like to use Blomberg's attributes as a starting point to see at how these sixty-six books are unique and how they demonstrate that the early church didn't "pick and choose" books of the Bible on a whim, but simply recognized them for the works they were. First, each of the Bible's books positions themselves to be an authoritative voice speaking on behalf of God. Many times the Old Testament prophets use the distinctive phrase "and thus saith the Lord" over and over. It's fairly easy to see how these are claiming to speak on God's behalf. Other books, like Ecclesiastes or Proverbs promise God's blessing on living a certain way. Even historical books such as Esther or Nehemiah, are instructive to show how God protects his people and what faithfulness or unfaithfulness looks like. The New Testament continues the pattern we find in the Old. Some books have the claim to be directly from God. Paul tells the church in Corinth "the things I am writing to you are a command of the Lord" (1 Cor 14:37b). He cements his message as being divine in Galatians where he writes, "For I would have you know, brothers, that the gospel that was preached by me is not man's gospel. For I did not receive it from any man, nor was I taught it, but I received it through a revelation of Jesus Christ." In the book of Revelation, John not only claims that it is prophecy, but he warns that to tamper with its message invites God's wrath. The Gospel accounts are authoritative in that they portent to be the accurate recording of Jesus's ministry and teaching. Acts fits the historic genre of Esther and Nehemiah, and also acts to instruct the church through its historical accounts of God's expansion of his mission through his provision and protection for his faithful followers. One of the key ways the early churches recognized the authoritative nature of the texts was by examining their nearness to those who were given authority by Jesus. Apostolic authors, like Peter, Paul, Matthew and John were recognized as having proper support, since they were hand-picked by Jesus to spread his word. Others, like Mark and Luke's gospels were directly connected to the apostles, either Peter or Paul. James was the head of the early church and the apostles recognized his leadership (Acts 15:13, Gal. 2:9). Jude was Jesus's half-brother, mentioned in Matthew's gospel (13:55), and full brother of church-leader James. His letter opens with his recognition as a servant of Jesus and takes up the authoritative position as one instructing the church on God's behalf to content for the faith. This leaves only Hebrews as somewhat controversial, primarily because it is written anonymously. While the author is now lost to history, it does claim to be authoritatively speaking on behalf of God in the first verse. The writer also claims to have been privy to first-hand accounts by those who heard directly from God and to have witnessed the confirming signs and wonders of God as to the validity of his message (Heb. 2:3-4). 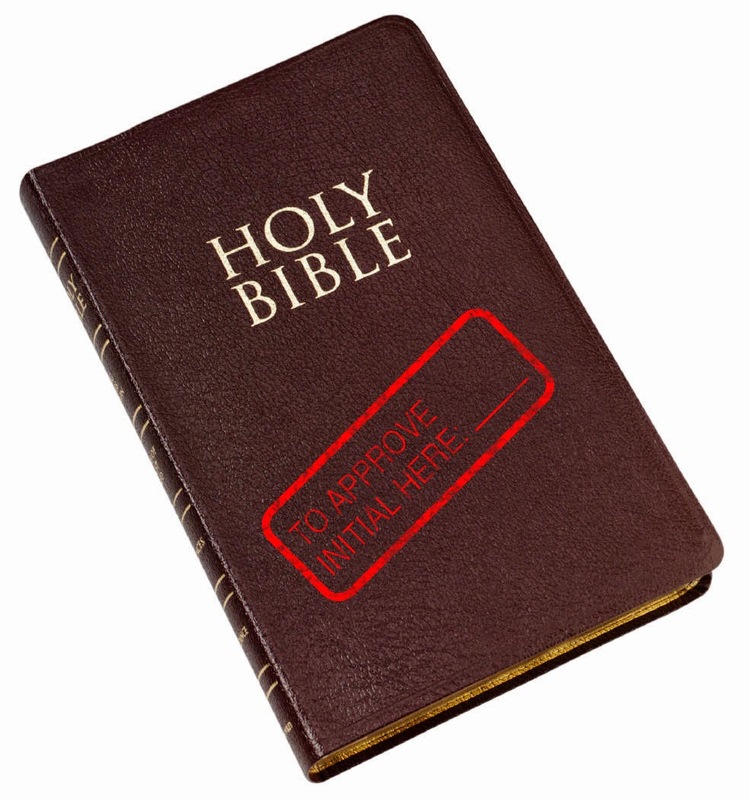 Of course, claiming authority simply isn't enough to prove any writing belongs in the Bible. The early church had the Old Testament established and authenticated by Jesus himself, making those 39 books authoritative. But the New Testament texts had to be recognized and compiled. Apostolic authority or recognition went a long way in that regard. The fact that second and third century forgeries began to appear bearing the names of apostles long dead demonstrated just how important this was. But the New Testament texts offer more than simply a claim to apostolic authority. Tomorrow, I'll look at the second attribute that all scripture shares: universal acceptance. These comments are from the CNN special series Finding Jesus: Faith, Fact, Forgery which has been airing on Sunday nights. The March 25, 2015 episode was entitled "The Gospel of Judas" and highlights the text that received so much attention when the National Geographic Society published a translation of the rare manuscript in 2006. 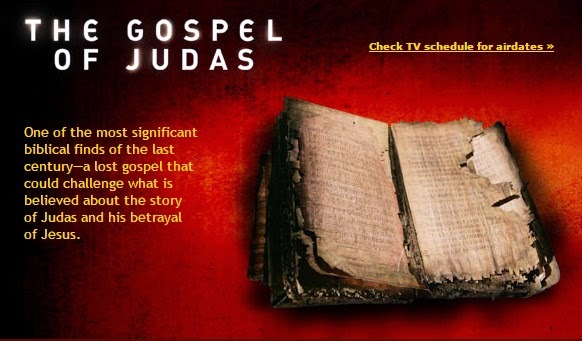 National Geographic promoted its translation in a special, saying it was "a lost gospel that could challenge what is believed about the story of Judas and his betrayal of Jesus. "2 Back then there was much fanfare, but little to surprise or sway biblical scholars. But the media always love to provoke, especially if they can undermine the traditional biblical accounts with any wild speculation they can find. So, nine years later, CNN offers an entire episode on the Gospel. In fact, the Gospel of Judas wasn't groundbreaking even in 2006. Scholars had known for some time that a document called the Gospel of Judas existed from the writings of the early church fathers, particularly Irenaeus. What's amazing to me is how some otherwise intelligent people lose all sense of bearing when they are confronted with an ancient text that has the word "gospel" on it. Just because a document has the word "gospel" at the top, doesn't mean it even comes close to being on par with the canonical gospels. Still, the discovery of an actual copy of the text is significant. Was the Gospel of Judas hidden as the result of some kind of conspiracy to keep power in the hands of a few? Does it place the canonical gospel stories of Matthew, Mark, Luke , and John in doubt? Hardly. Let's examine just what this document is and then we'll look at why it really tells us nothing about the formation of early Christianity. The manuscript is a copy of an earlier Greek text - most likely written about AD 150. We know this because, as I mentioned, Irenaeus rejected the Gospel of Judas in AD 180 - over 100 years before our Coptic manuscript existed. But we also can see the gospel reflects the beliefs of an early cult of Christianity known as the Gnostics. It's chock full of Gnostic teaching and thought, and since Gnosticism did not exist until the second century, there's no way it could have been written prior to about AD 125. So, that gives us a pretty good window to determine when this text was originally written. Now, I don't want to go into a technical discussion of Gnosticism to show why the Gospel of Judas doesn't hold a candle when compared to the four canonical gospels. We don't need to go that far to show why it should be rejected. We know that the manuscript we have is authentic - which means that it really did come from the third or fourth century. However, that doesn't mean that its contents are true. There's a big difference there. And why am I so sure that the contents of the Judas gospel are false? Well, it's simple. The gospel is too new to be written by the Judas of the Bible. You see, most scholars agree that Jesus' death happened somewhere around AD 33. The gospel is around 100 to 120 years later. Just how old would Judas have to be to write this account? 150? It doesn't make sense. Judas died well before this text originated. The Associated Press interviewed James M. Robinson from Claremont Graduate University and who they said is "America's leading expert on such ancient religious texts from Egypt. "3 There, Robinson agrees with this assessment. Robinson states, "There are a lot of second, third, and fourth-century gospels attributed to various apostles. We don't really assume they give us any first century information. "4 He concludes that nothing new can be learned about Judas of the Bible from the text. Secondly, since Judas didn't really have anything to do with this "gospel", we also know that the documents facts are in serious question. Remember, Judas dies during Jesus' crucifixion, so he couldn't have told anyone this special revelation. Therefore, these conversations must be fictional. You see, real gospels have what is known as an apostolic tradition. In other words, the four gospels can be traced back to the apostles themselves. Christians such as Irenaeus understood this and rejected it as a forgery. I think for a good starting point when discussing this text with others, let's look to a more modern example: the forged memos that surfaced during the 2004 presidential election. During the campaign, 60 Minutes reported on the discovery of an Air National Guard memo that suggested favorable treatment for the president. If these documents were accepted as real they could do much damage to his campaign. However, when the memos were scrutinized it became apparent that they were forgeries. Type styles used in the memos were too recent for the documents to have originated in the 1960's when they were purportedly written. I think that no matter which candidate you supported, most news agencies showed maturity in their rejection of the documents as unsubstantiated. Even if one holds that special treatment was afforded Mr. Bush during his National Guard service, these specific memos do nothing to give us new or better information about those charges, simply because they are false testimony. Similarly, a forged gospel of Judas doesn't help us to really understand Jesus, Judas or first century Christianity. Ultimately, the biggest piece missing from the Gospel of Judas is the gospel message itself. Remember that the word "gospel" means good news. It was called such because early Christians saw their redemption from sin as the good news to share with others. But redemption is the one thing the so-called Gospel of Judas doesn't have. Without that, there's no freedom from sin and no reason to follow Jesus who becomes just another dead man claiming to speak from God. 1. Goodacre, Mark. "'Finding Jesus': Judas Q&A." CNN. Cable News Network, 23 Mar. 2015. Web. 01 Apr. 2015. http://www.cnn.com/2015/03/16/living/finding-jesus-qa-judas. 3.Ostling, Richard. ""Expert Doubts 'Gospel of Judas' Revelation"" USAToday. USA Today, 2 Mar. 2006. Web. 1 Apr. 2015. http://usatoday30.usatoday.com/tech/science/2006-03-02-gospel-of-judas_x.htm. One friend brought up a claim made by a Catholic on an Internet discussion board. He said that Protestants depend on tradition as well, at least in some sense, since they depend on the traditional selection of books that make up the Bible. Someone had to choose which books would be included, so doesn't this mean we're holding to tradition on at least one point? The answer is no and it is an important reasons why - especially since others will try to say our choices for which books were included in the Bible was somehow arbitrary. I've reproduced the letter below and provided my answer to help clarify our understanding of the origin of our Bible. There is no such thing as a sola scripturist. For it is impossible to demonstrate that Scripture is Scripture by only using Scripture! How do we know that the Table of Contents at the beginning of our Bibles is "accurate" (that is, that all the books contained within are divinely inspired)? We have to rely upon the people who put the list together -- which means we have to rely upon church tradition being divinely inspired in the development of the canon. The question for the Protestant CANNOT be: "Should I only accept the Scripture as divinely inspired?" but rather: "To what degree should I accept church tradition (along with Scripture) as divinely inspired?" I think we need to be careful in our assessment of how we got our Bible. So much hinges on a proper grasp of why we view certain documents as inspired, since the Bible's authority hinges directly on whether or not the scriptures do indeed have their origin in God. The first thing one must remember when discussing the inclusion of documents as scripture: no church or council ever appointed certain works as inspired and others as not inspired. This is so important, I want to repeat it. No church or council ever appointed certain works as inspired and others as not inspired. All the early church, beginning with the apostles, maintained that one does not declare a writing to be the word of God, but one recognizes that the word of God has been given and treats it appropriately. It's similar to the laws of nature. For example, one does not decide that gravity is a law of nature. It's not as though someone declared that the earth should exert a forced pulling us downward and that somehow made gravity came true. They simply observe its effects and state that the law exists. The claim was "There is no such thing as a sola scripturist. For it is impossible to demonstrate that Scripture is scripture by only using Scripture!" This claim isn't true. Remember, the Bible isn't a single writing, but 66 separate documents written by different authors over 1500 years. Therefore it is not circular to argue that when the New Testament authors refer to the Old Testament as Scripture it is supportable. The two main identifying characteristics of scripture are 1) they derive from authoritative sources (God's prophet, apostolic authority, etc.) and 2) they hold predictive prophecy (ref Deut. 18:22). Both in the Old Testament and the New Testament, claims of divine inspiration are made directly. The Old Testament prophets say over and over again "Thus saith the Lord" claiming to speak God's message to the people. They supported this claim with various prophetic predictions. This is why Peter writes "But know this first of all, that no prophecy of Scripture is a matter of one's own interpretation, for no prophecy was ever made by an act of human will, but men moved by the Holy Spirit spoke from God." Jesus also directly authenticates the Old Testament in its entirety. In Luke 24:44 Jesus says, "These are the words which I spoke to you while I was still with you, that all things must be fulfilled which were written in the Law of Moses and the Prophets and the Psalms concerning Me." Thus Jesus is saying that the Old Testament is the prophetic Word of God. He also references "The blood of Abel to the blood of Zechariah" encapsulating the first and last martyr of the Hebrew Scriptures. The writer to Hebrews put it this way: "God, who at various times and in various ways spoke in time past to the fathers by the prophets, has in these last days spoken to us by His Son, whom He has appointed heir of all things, through whom also He made the worlds" (Heb1:1). God's word is His Son, so His word is authoritative in authenticating other areas of Scripture. We've gone rather quickly through the main points in discussing the initial claim of Scriptural authority. If you'd like a more detailed study of the concept of Biblical inspiration, get a copy of our audio teaching "How We Can Know the Bible is REALLY from God". 1. See http://www.newadvent.org/cathen/15006b.htm for a detailed explanation of this doctrine.